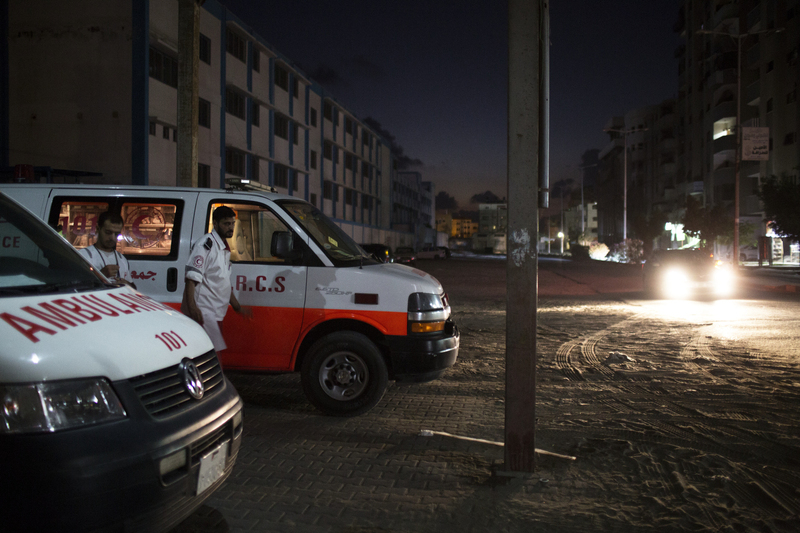 GAZA, 19 JULY 2014: Ambulance rescuers start their shift at 7pm and check their equipment and vehicles. On July 19th they rescued hundreds of civilians stuck in Gaza's suburb of Shejaya during heavy clashes and shelling. Israeli ground invasion of Gaza is part of the military operation icodenamed Protective Edge. The current conflict was triggered by the kidnapping and murder of three Israeli teenage settlers, followed by the abduction and murder of a young Palestinian boy.